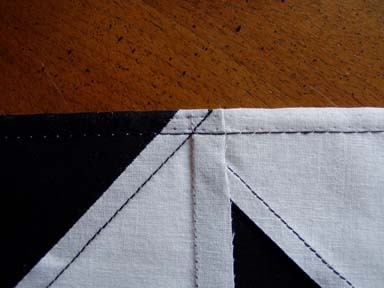 Now that you know how to make diagonal half squares, let's talk about sewing them into blocks, and those blocks into quilts. 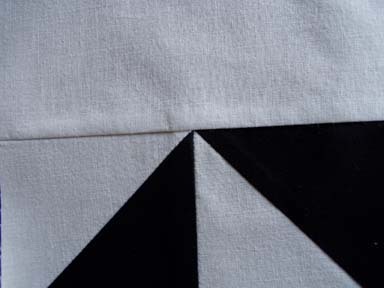 If they are perfect, when you sew them together with another diagonal half square, it will seem like your points jump back, or move away from the edge of the block. This is correct, and that should happen. 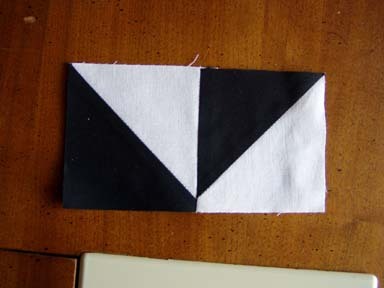 This way when you sew it with another block, those points are in the correct place, and will show. 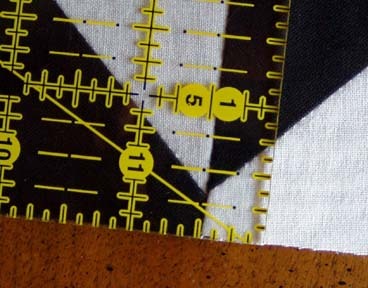 The distance that your points set back from the edge of the block should be exactly 1/4 inch, your seam allowance. they are not EXACTLY 1/4 inch away from the edge. 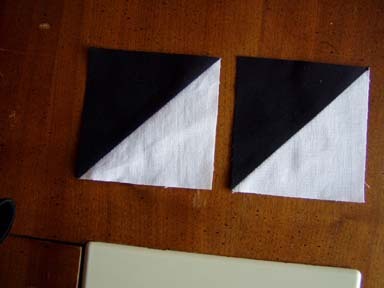 If I trim them back so that they meet perfectly, my squares will be 1/8 inch too small. This MIGHT be ok for a wall hanging which will never get sat on, or pulled up at night or washed. But if put into a quilt that is going to be used, that 1/8 inch seam allowance may not stay in place after heavy use and/or washing. If these were diagonal half squares that I intended to use in a quilt, I would put them in my "whoops" collection, and make news ones. 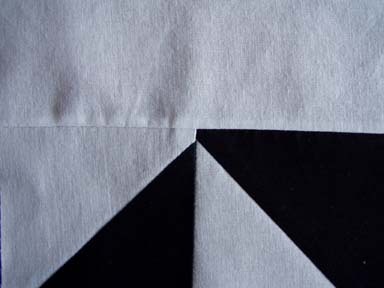 Now these are prefect diagonal half squares!